One sad fact of life in our city is that many animals are abandoned by cruel people and when it happens to the youngest ones among them, it is simply heart-breaking. The other day, we heard kittens crying outside our gate at Deonar Centre. 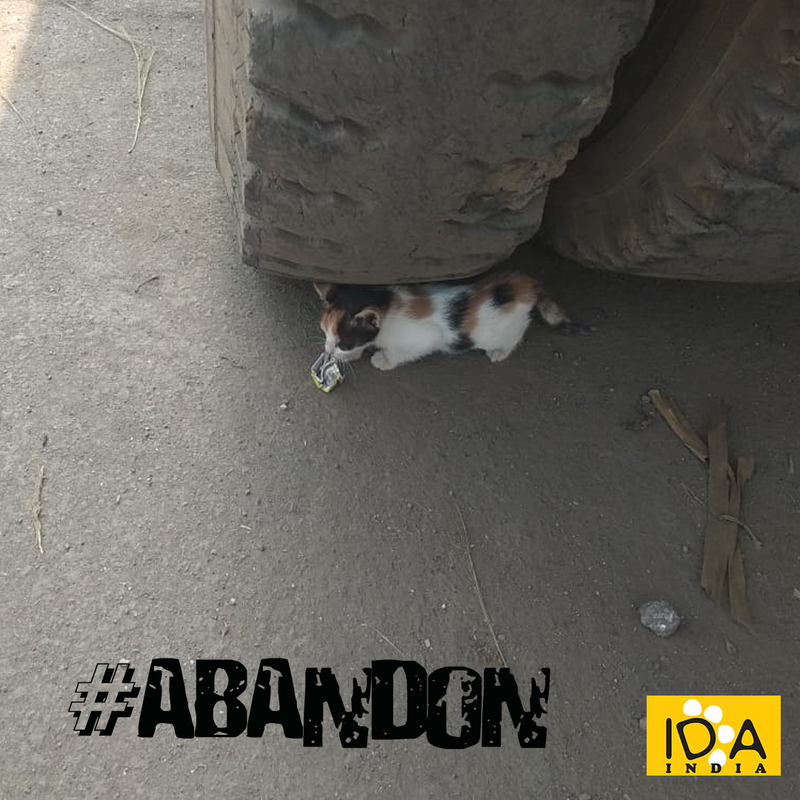 As our staff rushed to check, they found that children from the nearby slum area were tossing the kittens about and the some of the litter were hiding under the wheels of a truck where they had all been dumped. There were four little one and all were quickly taken into the safety of our Cenrre. After checking to see that they were healthy and not injured, they were carefully placed in a special room which has been kept spare for the temporary stay of healthy kittens and adult cats until they go into foster care. There they were under the care of our Assistants Jagruti, Radha and Anu, who are all excellent at this work. IN a matter of a day, all four kittens were full of energy, with hearty appetites and all were just bent on having fun, as all normal kittens are. They all play their little hearts out bouncing up and down, hiding and play attacking one another. They are just a joy to behold. 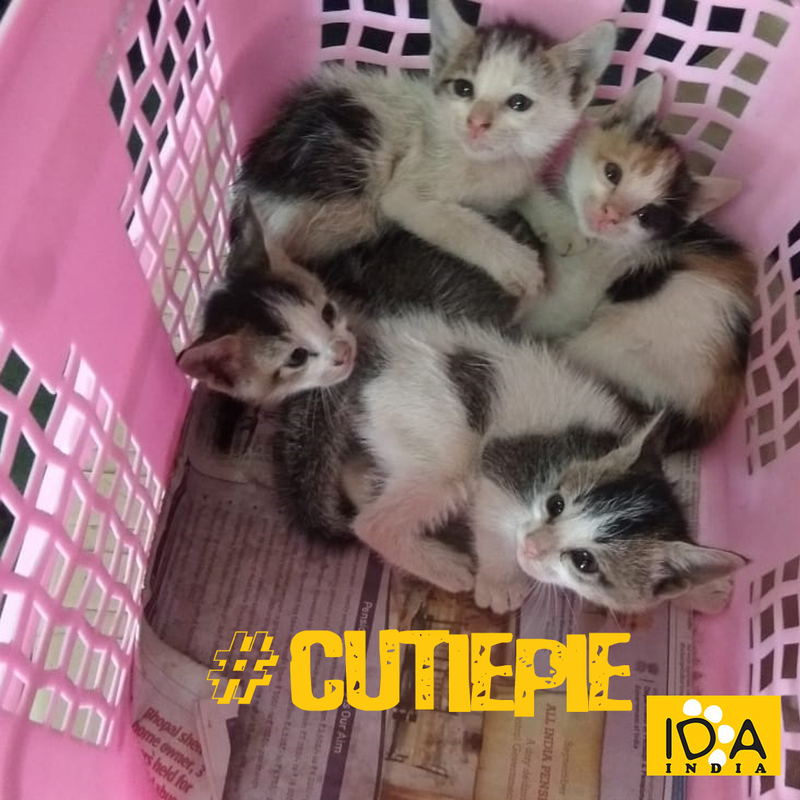 Once they are tired of play and after their meal, they all curl up together in their cosy sleeping quarters to have a nap. They are all so beautiful and we are glad we are managing to keep them in excellent health. Now they will go into foster care. It is difficult for us as we have to pay for this, but it keeps the kittens safe and healthy until they get adopted. We make constant efforts to get them into good homes. It is here we need your help. You can fund their stay with us, or in their foster home, or help us to get them adopted. You could even adopt one yourself; and with kittens, remember, two is better than one. This is because they play together constantly and watching them is simply hilarious. It is always a joy to have an animal in the family and kittens are really special in this way.